When the COUNTRY Financial insurance company is considered, the key feature that must be noted is its comprehensive approach: this group of companies seems to cover all aspects of life that can be insured with a policy. Regardless of whether you need personal or commercial insurance, you can find an appropriate option by applying for a COUNTRY Financial policy. COUNTRY Financial is not called a ‘country’ company for nothing: its history dates back to 1925, when several farmers of Illinois Agricultural Association decided to found an insurance company to help farmers overcome different issues that happen quite often: hail, floods, fire, lighting – all these things are quite common in the U.S., and having an insurance policy was supposed to help handle the above mentioned issues. One year later, the service of crop insurance became available, and Auto Insurance followed in 1927. Another addition to the list of products was Life Insurance policies introduced in 1929. Before moving to Bloomington, IL in 1960, the central office of CF was located in Chicago. Over the years, the company expanded its range of services and started providing such financial services as Investment Management, Annuities, Retirement Planning, and Estate Planning. With more than 90 years of operation, COUNTRY Financial has developed a strong business providing services to clients in 19 states, and their products are offered in 40 states. Yet the comprehensiveness of their services is not the only thing CF is known for: their contribution to development of the communities they operate in is also notable. Green initiatives and cooperation with local organizations such as NAACP, Illinois Diversity Council, etc., are features of their legacy that are worth mentioning too. There are a lot of organizations to which CF has donated, including Habitat for Humanity, Boys and Girls Club, YMCA, YWCA, etc. 1. Life Insurance. A key policy which highly demanded in the U.S., Life Insurance has a variety of options implying different terms depending on health condition and other factors. 2. Crop Insurance. The kind of policies the company started with is still used: the U.S. farmers are quite numerous, and Western weather can be harsh (lightning is common in the States as well as hurricanes and other natural disasters), so Crop Insurance is the thing that can help the industry workers get money in case of unexpected events which lead to crop loss. 3. Auto Insurance. 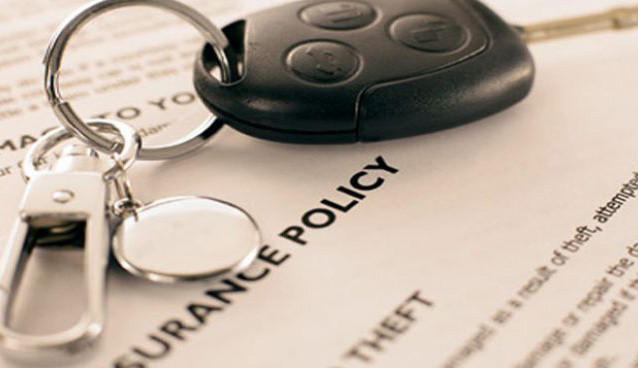 With millions of vehicles being used in the U.S., Auto Insurance is a must. CF offers flexible plans to give you a hand if an accident happens. 4. Home (Renters, Personal Property) Insurance. Natural disasters, burglars invading your house, lightning – there are many ways for your property to get damaged. Home Insurance (and its varieties, including Renters and Personal Property Insurance) can be an option if you own a kind of property that is prone to damage. 5. Business Insurance. Running a business implies a lot of processes that need protection. Business Insurance policies are designed to make businesses more stable, stronger and more efficient. Besides, you can provide health policies for your employees so that they could benefit from working for your company even more! 6. Farm and Ranch Insurance. Farms do not only mean crops: it’s an ecosystem comprising of equipment, cattle, buildings and other constituents that can be covered by an insurance policy. Another advantage of this company is a convenient website with various tools designed to help you manage your policies and use calculators, saving worksheets and other features aimed at simplifying the process of application and policy management. Besides, there’s a video library which can be interesting for those who need advice on investments and other services to such huge insurers like Geico or Country. Such means of communication with the clients makes CF one of the most effective companies in terms of customer support. It’s no wonder this aspect has been noted and brought the company rewards.